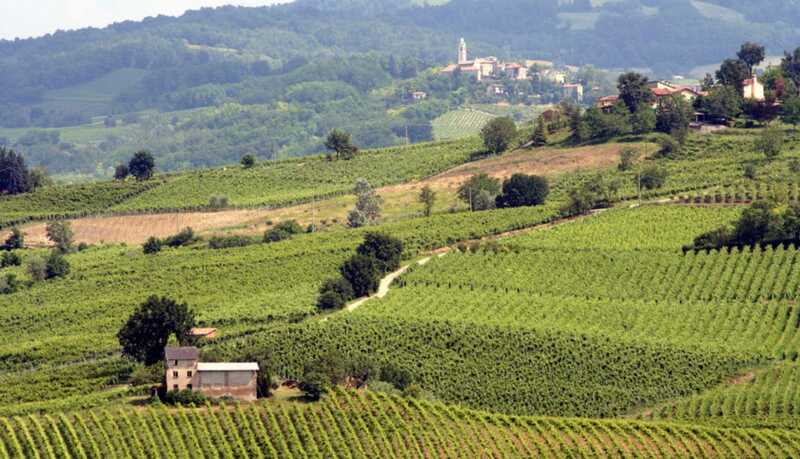 About 50 km south of Milan the Oltrepò Pavese stretches out her vineyards, woods and meadows. A landscape reminiscent of Tuscany , with smooth hills, medieval castles, ancient villages and panoramic views. 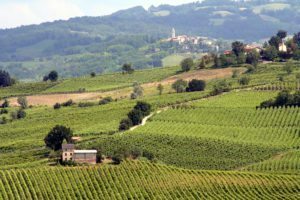 Though it is the largest wine producing region of Lombardy and one of the largest of Italy, the name Oltrepò Pavese hardly rings a bell. It is still undiscovered territory , tranquil and traditional, as if time has forgotten to touch this area. The Oltrepò Pavese may easily be visited on a daytrip from Milan. For example on a Sunday, when restaurants in the big city are closed. In the countryside the restaurants then serve the traditional Sunday lunch , il pranzo della domenica. An experience not to be missed! If you manage to find the place, the lunch at Azienda Agrituristica Bagarellum is the top of the bill. What to visit in the Oltrepo Pavese? the Monte Alpe nature reserve . You’ ll be surprised by how quiet it is and by the spectacular panoramic views along the way. Don’t forget to visit a cantina to taste some of the wines that are typical of the region. Bonarda, Barbera, Buttafuoco, Sangue di Giuda, Pinot Nero, Riesling and the Spumante ‘s. Some of the possibilities (there are over 100 wine producers in the area) are: Travaglino and La Versa. Or on a small scale: San Michele ai Pianoni. You’ll definitely want to come back another time and stay in this secret paradise. Have a look at our Bed & Breakfast Villa I Due Padroni . There are several ways to reach the region from Milan. The main access is by the state road no. 461 of the Penice Pass , winding up the valley from Voghera. The nearest motorway accesses are Casei Gerola (36 km away) or Casteggio (40 km away) on the A7 Milan-Genoa motorway and Voghera (32 km away) on the A21 Turin- Brescia motorway. 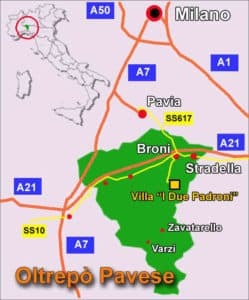 You may also take the road to Pavia, and then the ring road ( Tangenziale ) east, direction Oltrepò, Stradella and Broni . In this case you will pass the 1 km century old Ponte della Becca at the confluence of the Po and the Ticino. Yet another way is to take the motorway to Piacenza and then the A21 direction Turin, to exit at Broni-Stradella . 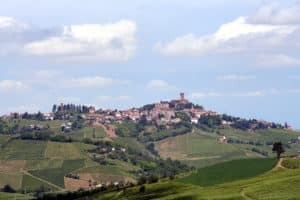 Would you like to know how we managed to find a house and move to Italy? Read our book! Now the bubbling Italian prosecco may be famous all over the world, but we prefer to drink our local sparkling wine. 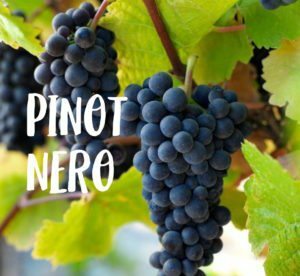 The wine region where we live, the Oltrepò Pavese, is Italy’s largest pinot nero, pino noir, growing area. And this grape, blue peel, white pulp, is ideal for making the spumante wine. 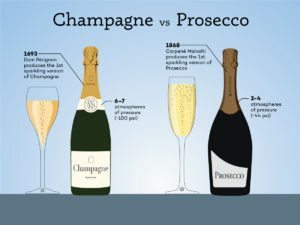 Either the cheap, prosecco way with fermentation in large stainless steel barrels, or the expensive, champagne way, fermentation in the bottle. And where most prosecco wines are light and slightly acid, the spumantes of the Oltrepò really taste of … wine! Delicious. No more cheap champagnoise wines from the supermarket for me. They are so good that the Italian Michelin, the Gambero Rosso, chose one of the Oltrepo spumantes as the best one of the whole of Italy in 2014! Not the prosecco and the Franciacorta spumantes but the Pinot Nero Metodo Classico ’Nature’ of wine house Monsupello in Codevilla. 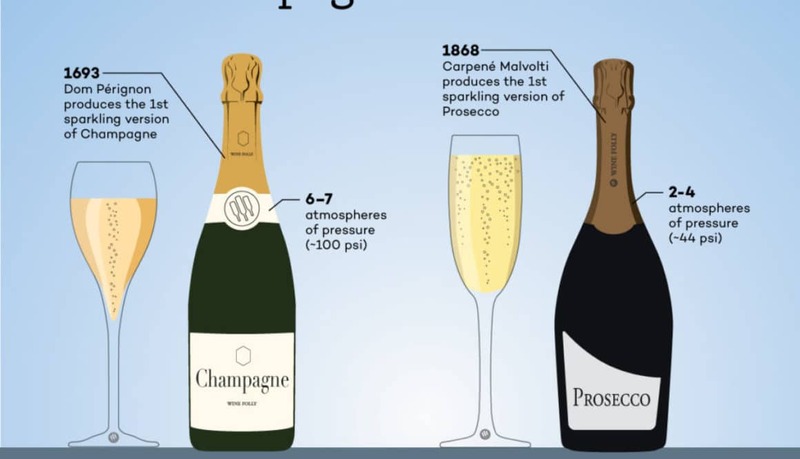 For those who do not (only) like sparkling wines, there are reds and whites of high quality as well. The red pinot nero or burgundy or Blauburgunder of Tenuta Mazzolino is awarded the highest rewards year after year. The white riesling (italico as well as renano) is another favorite of the region. As is the sweet moscato dessert wine. 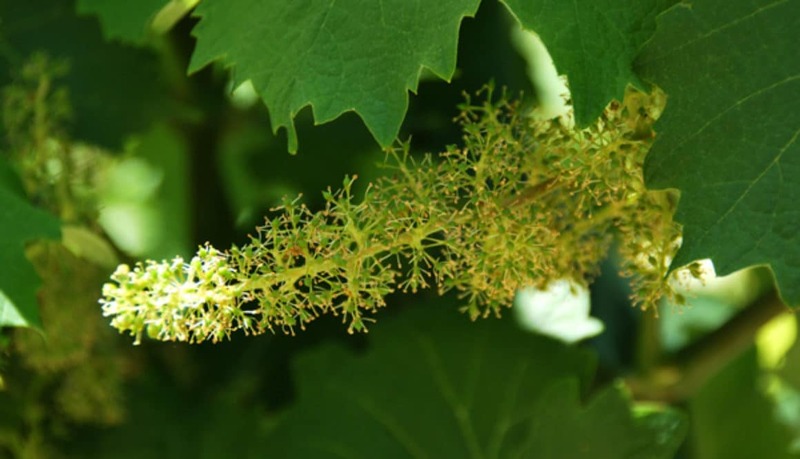 Typical of the region are the young and fruity red frizzante Bonarda, the strong Buttafuoco and the sweet red Sangue di Giuda. As these are only sparsely available abroad (or even elsewhere in Italy) you have to come to the Oltrepo Pavese yourself to taste them. Hundreds of small wine producers’ cantine await you! Vendemmia! Harvesting the grapes for next year’s Italian wine. 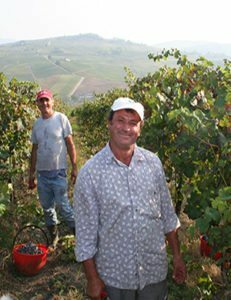 Depending on how the summer goes, the vendemmia (harvest) usually starts mid-August, after Ferragosto, the national holiday on the 15th. When we first came here, early September 2007, the harvest was already completed, which was exceptional. The year 2014 was particular for another reason: it has been one of the wettest and coldest summers on record. But the last three have been exceptionally hot and dry, leading to a high quality if somewhat less quantity. In fact, our local friends tell us they have no recollection of a summer as dry as 2017. Fortunately, the vines root deeply and never need to be watered. Each year end of August (although earlier this year) the seasonal laborers, mainly from Romania and Albania, arrive to do most of the manual picking. The tractors with wagon-loads of mature grapes will hold up traffic on their way to the cantine sociali (wine co-ops). Not a bad thing to get stuck behind such a wagon. 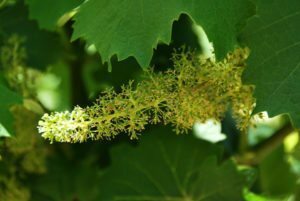 Time to slow down and enjoy the sweet odour of next year’s Italian wine!